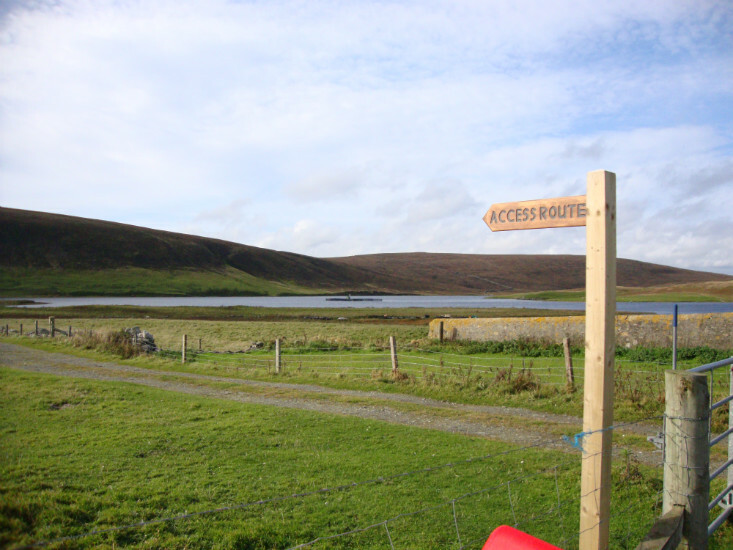 In 2008, a series of sign-posted walks was introduced throughout Shetland. 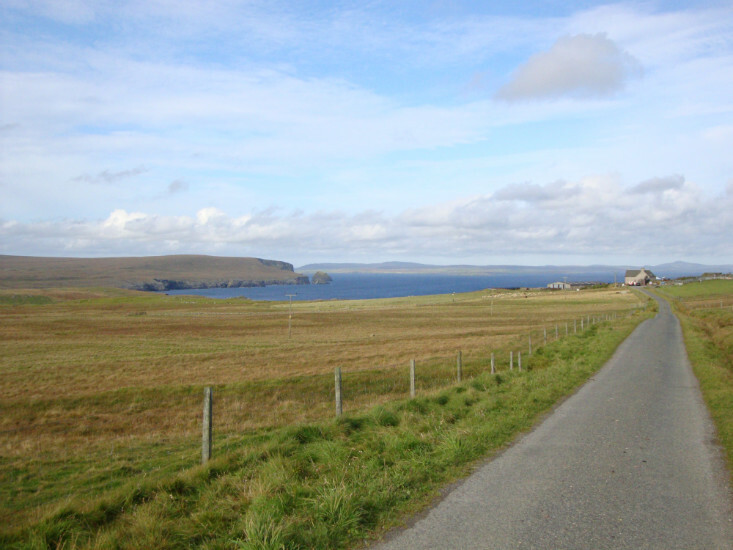 Several of these walks are in Fetlar. A brief overview of each one is given below. Please also check the whats on page as the RSPB run wildlife walks from time to time. 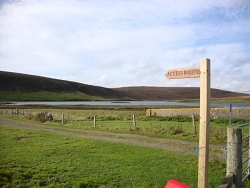 Note: Walk 1 passes through the RSPB reserve. Please seek local advice before undertaking these walks during the breeding season (May to September). Zoom imageStart of the Roundhouse walk. Walk 3 can easily be incorporated into Walk 4 if you wish as it takes you past the start/finish point for walk 3. Zoom imageNousa Ness (left of centre). Zoom imageStart of the Papil Water walk. 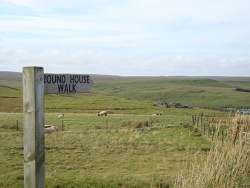 Note: All times given here are to be treated as a rough guide only. 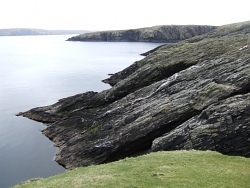 Warning: For your own safety, please use caution and don't go too near cliff edges as they can be unstable and grass can be slippery especially if there has been recent rain.